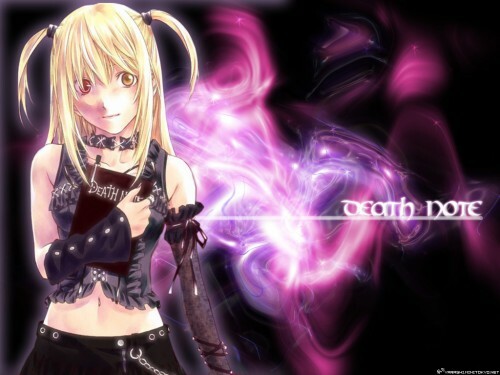 Anyways, a lot of people mentioned something about "Death Note" in the comments they made, so I'm just agreeing- plus it's written on the book she's holding. Anyways, hope you all like it. very nice., death note rocks! the bg is awesome ! XD great wall yarashi-chan ! hey hey! very nice wallpaper paper keep it up!!! wow this wall deserves a fav ^^! Cute Misamisa :) good job!